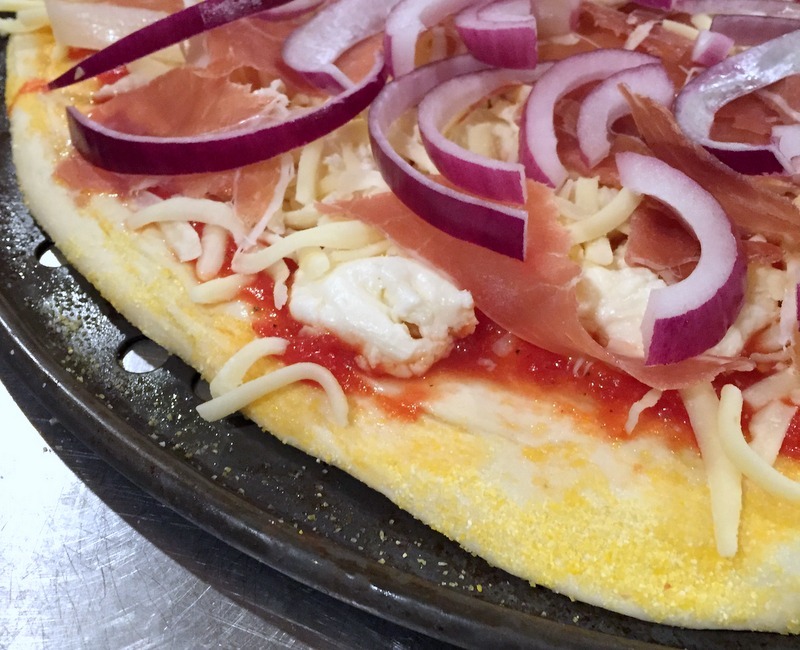 Last summer when we did a Scott’s Pizza Tour (seriously, cannot recommend these enough! 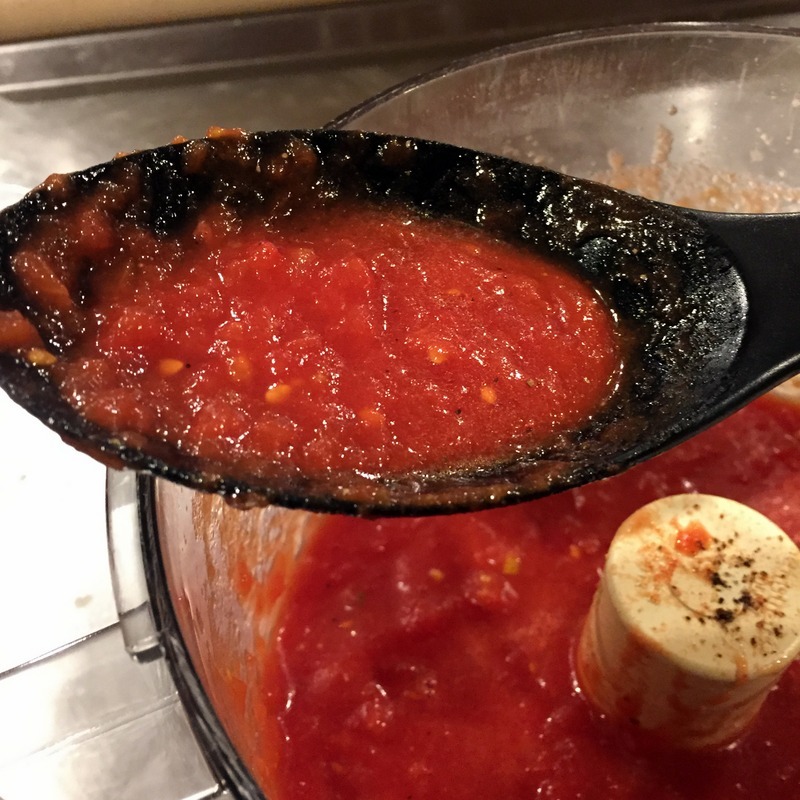 ), I learned 2 great tricks for making pizza sauce that I’ve been using ever since. I can testify that my pizza sauce game is seriously on point now. The first trick is to use whole peeled tomatoes and crush them yourself. I’d been buying crushed tomatoes, but our tour guide said manufacturers use bottom of the barrel, already smushed tomatoes for the cans of crushed. Whole peeled are the best quality, and San Marzanos are even better–but not everything labeled San Marzano in the US actually is. So, I started pulsing whole tomatoes in the food processor myself. I definitely taste a difference. I don’t know if it’s the quality of tomatoes, but it’s definitely the freshness of crushing whole tomatoes on the spot. The second trick is not to cook the sauce before putting it on the pizza. I was actually doing that already, but out of sheer laziness instead of culinary genius. Now I shall claim culinary genius forevermore! I pulse the raw tomatoes and throw in a little olive oil, salt, and pepper. Basil if I can get it fresh. That’s it, then I spread it on the pizza. Letting the sauce and pizza cook together for the first time makes the flavor brighter and fresher. And those are my saucey tricks. Now they can be yours, too.